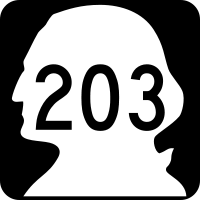 Beginning at a junction with state route number 202 at Fall City, thence northerly by the most feasible route by way of Duvall to a junction with state route number 2 at Monroe. 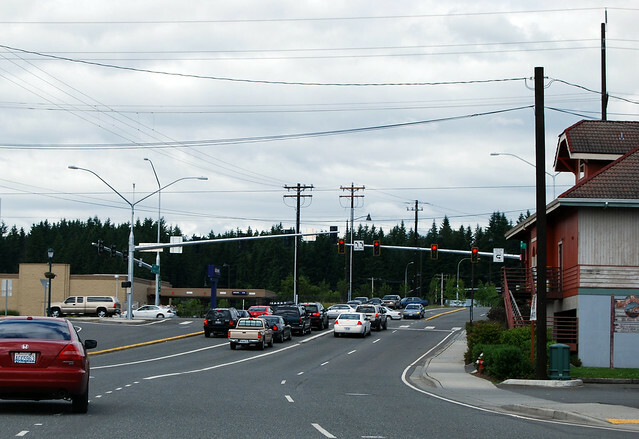 Across the Snoqualmie River from Fall City, Highway 203 begins at a roundabout with SR 202. Roundabouts make it difficult to get a good photo. To get the shot I wanted, I would have had to walk to the center, which didn't seem quite safe. So Chunlin took this as we zipped around the circle. We head north down the wide Snoqualmie Valley, with glimpses of the sedate Snoqualmie River to our side. After crossing the Tolt River, we pass through century-old Carnation (née Tolt) and then reach this halfway point on the highway. Through Duvall, we go. 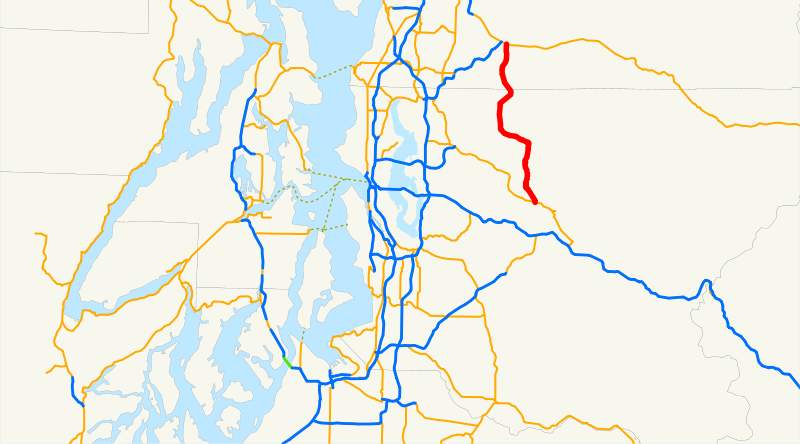 Soon we enter Snohomish County, then enter the Tualco Valley where the Snoqualmie River is joined by the Skykomish River to become the Snohomish River. 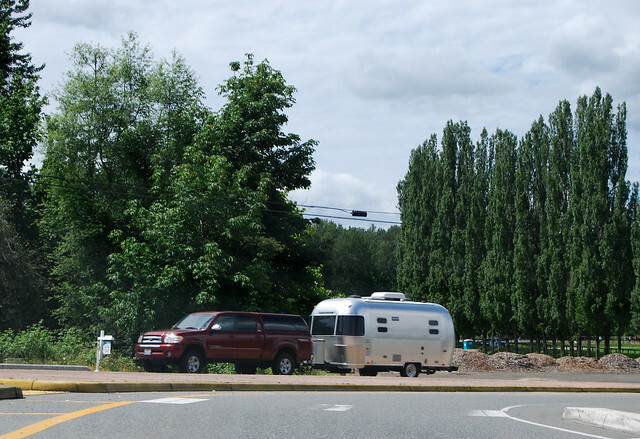 Highway 203 crosses the Skykomish and we're suddenly in Monroe. We roll due north through town till we arrive at busy US 2. SR 203 is at an end. A few years ago, when the idea was floated to build a bypass freeway along this route, the residents banded together to "save our valley." It's a nice, rural valley with plenty of farms, but would a limited-access highway ruin that for them? 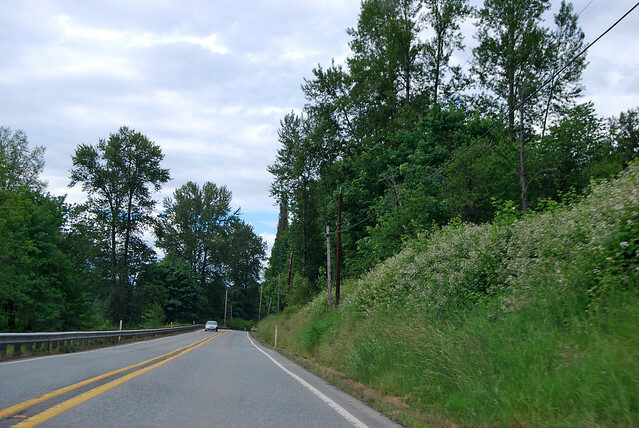 Most of SR 18 goes through rural land, for example, so what are they worried about? 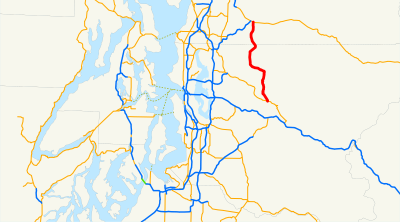 Instead, WSDOT is now squeezing in more lanes on I-405 between Bellevue and Lynnwood. I'm sure building a new freeway across open fields would have been cheaper, and the farms would still be there.